The above was in an email from Fadzai which brought tears to my eyes. If she was the only reader of The Memory Code, it would have been worth all the work. It was a privilege to meet Fadzai and her daughter in London in February. This evening I made a journey from Watford (near London) to Birmingham and I decided to listen to an audiobook to alleviate the tedium. I am hoping to improve my ‘artificial memory ‘ and find usable techniques to permanently remember large amounts of information, not just party tricks like decks of cards. 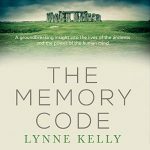 It was in that hope that I downloaded ‘The Memory Code’ (using Audible). I have just arrived in Birmingham, so am nowhere near finished but I felt I had to write to you. I am so excited! I am excited not only because what you write about could be of practical use, but also because you reveal some profound truths. 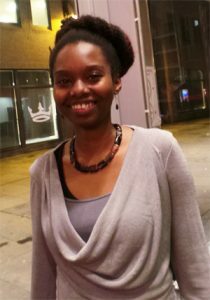 I am from Zimbabwe and have very little, and only surface knowledge of my culture. It was systematically destroyed, partly by belittling it. It has been drummed into generations that before the English came we were dirty, stupid, illiterate (not non-literate) savages. Our ‘witch doctors ‘ peddled superstitious nonsense, our dances showed us to be licentious and the missionaries told us many of our practices were demonic. My maternal grandfather was a minister in the Dutch Reformed church, and as you can imagine of a minister’s daughter, my mother brought us up in a very religious way. … The family apparently adopted their surname some generations prior, when they adopted Christianity, to signify ‘they had now overcome death’. My paternal grandfather’s father (I believe) was the first to embrace Christianity. Their previous surname means ‘many deaths/many funerals’. There was apparently a curse on the family wherein for generations, the firstborn son of the family would always die as a child. My father, their firstborn son, was named ‘Tichaona’, which literally means ‘We shall see’. As in ‘We shall see if adopting Christianity lifts the curse’. He is still going strong in his sixties. My father’s survival was taken as evidence of the power of Christianity and cemented my Grandmother’s Christian faith and led her to funeral request. Many in Zimbabwe ‘hedge their bets’ and have both traditional and Christian rituals for funerals and it is a point of pride in the family that she did this. I never got to know her, unfortunately, even though my middle name is her name. We lived abroad for many years, and when I met her as a pre-teen, she had recently suffered a stroke and I was scared of her. I avoided being near her and she died in my late teens. I am deeply ashamed of this now, and although I have forgiven my younger self, it will not bring back her stories. She named my father’s first born son. My brother’s name is ‘Tinashe’, it is almost a talisman, warding off the evil eye and any curses, as it means ‘We have God here’. I only speak Shona as a second language and often find it hard to understand. My parents did this with the best of intentions, they felt that by not teaching me Shona they would be putting me and my siblings at an advantage. My mum and dad would speak to each other in Shona, we would join in the conversation in English, speaking to each other in English. I know they were well-intentioned, but the result has been that I am a stranger in the Shona community as well as a stranger in the English one and am a perpetual observer, with no place that I ‘belong’. 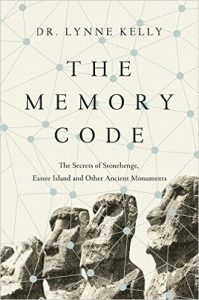 Listening to your theory about Stonehenge and the oral mnemonics has opened up something in me. I cannot express it. The trendy phrase ‘paradigm shift’ feels a bit inauthentic, but the feeling of realising that just because your culture had no written text does not mean they did not pass down large amounts of knowledge is revolutionary. I once watched ‘Roots’ where Kunta Kinte had a genealogist recite a long list of his African ancestors, but I understood it to be some sort of ‘trick’ or ‘quirk’ not suggestive of a system of retention of knowledge. Some general Zimbabwean cultural information you may find of interest if you do not already know it. One tradition we have retained is that of ‘totems’. Even modern Zimbabweans know what their totems are (mine is ‘heart’) and they are passed down from father to child. The significance is not clear, but it creates an ‘affiliation’ between people of the same totem, which crosses family or ‘clan’ loyalties. Special permission is needed to marry someone of the same totem and people are not supposed to eat the thing their totem is. Easier for those of ‘Elephant’ totem, harder for those of ‘Leg’ who are supposed to eschew drumsticks, and leg cuts of meat! It is for this reason I don’t eat haggis and black pudding, as they apparently have hearts in them. I claim ignorance as a defence when it comes to sausages and burgers! Within a family there are the same roles as within a western family; mother/father, child, spouse, grandparent, aunt/uncle. However, for a woman ALL of her sisters’ children are also her children, and for a man ALL the children of his brothers are his own. You are thus to consider the children of your mother’s sister or father’s brother as your own nuclear siblings. Your ‘aunt’ (mother’s sister) is your mother and your ‘uncle’(father’s brother) is also your father as much as your own parent is. It is even considered bad form to make distinctions, in the way a parent would be frowned upon if he says of a child he had raised from birth ‘that’s not my real child, it’s only a stepchild’. The interaction is as is usual between a western mother-child, siblings etc. The interesting part it’s the other side. If a man has a daughter, his own sister is considered an ‘elder sister’ to the girl and her role is to be a guiding force HOWEVER, never to disclose ‘secrets’ to the child’s parents, so similar to the sanctity of a priest’s confessional, or a client-solicitor privilege- This role is ‘Tete’. A woman’s brother has the same role for her sons and is called ‘sekuru ‘grandfather’- even though he is an uncle. With a girl and ‘Tete’ (i.e. her father’s sister) as they are ‘sisters’, Tete’s children are her children and they address her as ‘mother’, even though in English they are ‘cousins’. So for me, Tete’s children call me ‘mother’ but they call my brother ‘uncle’. It can get quite confusing but is taken very seriously. It can often cause offence when diaspora Zimbabweans return and do not express the ‘proper affection’ for a ‘child’, who to them is a cousin, or veneration for a ‘grandfather’ who to them is also a distant cousin. It is in fact a very empowering role for women. When one acts in the capacity of ‘Tete’, for example, you have authority over a man who may be chronologically older or of higher social standing. This is usually exercised in family disputes, marriages etc. Conversely, one gets to be a ‘grandchild’ and cossetted even if you are elderly, and your ‘grandfather’ is some decades younger than you. It allows people to wear different ‘hats’ at different times, and to take on different perspectives at the same time. Three factors are leading to its demise. Firstly, Urbanisation and distance – I do not really feel sisterly affection for second cousins I have rarely seen but am genuinely touched that they will be elated to see you and (sometimes literally) kill the fatted calf in your honour. Secondly is that some roles have been deliberately misinterpreted leading to abuse. One relationship exists which is ‘junior wife’. It is intended as a ‘protective’ role but has been exploited by some paedophiles. Thirdly, it is the general lack of understanding of the meaning of the roles and their function, together with westernisation which has led to many of them falling into disuse. As you rightly pointed out, the initiated are now few and far between, if at all any still remain. Into the vacuum left by these elders have come charlatans. Confidence tricksters who prey on the superstitious and charge high prices for ‘spells’, ‘good fortune’ etc. and are eschewed by anyone educated. Anyone who has studied the power of placebo can well understand the healing function they could have had. And the in Europe, the old wives’ brew of willow bark tea for pain was eventually synthesised into Asprin and I have no doubt the healers did similar things in Zimbabwe. An aunt once put some sap on a wart my brother had and it fell off a few days later!. I watched an episode of ‘Call The Midwife’ which I generally enjoy very much. They were in 1960s South Africa to help the poor, ignorant and helpless people deliver babies and treat disease. When pictures such as these are painted they do not take into account that traditional practices were wiped out, and the structures which would have addressed these problems no longer existed. The creation of a cash economy meant that people now needed (and wanted) to participate in the western economies. Men had to work miles away in the mines and in the cities. The girl who would have been trained to be a midwife was now a housemaid somewhere, and her garden-boy husband would have been the one with knowledge of how to dig wells. Deprivation and diseases caused by cramped living conditions which would not have existed for their ancestors are now considered part and parcel of being African. The thing most Zimbabweans have great pride in is Great Zimbabwe. It is from that the country gets its name and it means ‘Great house of stone’. It is an example of great architecture, and the function of some of the structures are still unknown. The remarkable thing about it is that the bricks have an interlocking structure, almost like Lego and have lasted for so many centuries, intact, without any sort of mortar, or cement. This type of construction has not been seen anywhere else. One hateful argument sometimes put forward is that the city must have been built by aliens, or non-indigenous people, as black Africans did not have the intellect to construct such a thing. In ancient times there was trade between Zimbabwe and the north. The name Shona, in fact means ‘Gold’ in a western language (I think in Portuguese?) and they were so named as they were producers of gold (and continue to do so to this day). In the ancient city of Great Zimbabwe there was found, tantalisingly, ancient Chinese pottery, suggesting interaction even with them. I watched a documentary on Youtube, some years ago, I can’t remember the title. As you may know, the legend is that the Biblical King Solomon had a relationship with the Queen of Sheba. Ethiopians believe the queen of Sheba was an Ethiopian queen, and their religion states that she bore King Solomon’s son. In Zimbabwe, there have been for many generations African Jewish people. They observe many of the Jewish dietary and religious practices. There is an argument that at the time of the destruction of Jerusalem, some fled, together with the Ark of the Covenant to the Ethiopian Jews. They then migrated southward, ending up in Zimbabwe. The theory also argues that the Ark of the Covenant was in fact a large drum, carried on poles, and inside it was the ‘Holy of Holies. It was carried into battle and the sound of it being played struck terror into Israel’s enemies. This drum was at one point exhibited in the Harare National Museum. Some have argued that the misfortune that Zimbabwe has suffered is due to not returning this ‘Ark of the Covenant’ to Jerusalem. 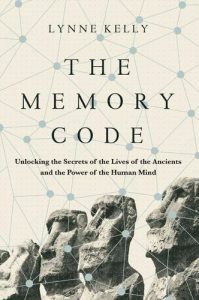 You mention that ‘The key factor is the way indigenous memory systems ground the basic structure of information and then build it up layout by layer using all the range of memory techniques.’ I now wonder if the traditional childrens’ stories we have in Zimbabwe about ‘Rabbit and Baboon’ may be an element of this. You are right to harness the power of aural learning. We all know word for word the lyrics of pointless songs, anchored by catchy tunes. Using this capacity for useful information is something that should be embraced. The United Nations protects what it terms ‘cultural rights’ in its International Covenant on Economic, Social and Cultural Rights. I greatly appreciated Fadzai taking so much time to write at length. I also appreciated learning more when we met. So much has been lost. It is so sad that indigenous intellect has not been appreciated and the vast store of knowledge is now mostly gone. This entry was posted in indigenous memory systems, orality, The Memory Code, Zimbabwe and tagged indigenous, orality, primary orality, Zimbabwe. Bookmark the permalink. What an incredible response and right from the heart. I found it so fascinating and informative although I do wonder how that intricate family relationships can ever be remembered.